It’s time for another ELK Studio’s Saturday Crochet Show! I found some beautiful patterns that are sure to make a fashion statement for you this Spring and Summer! 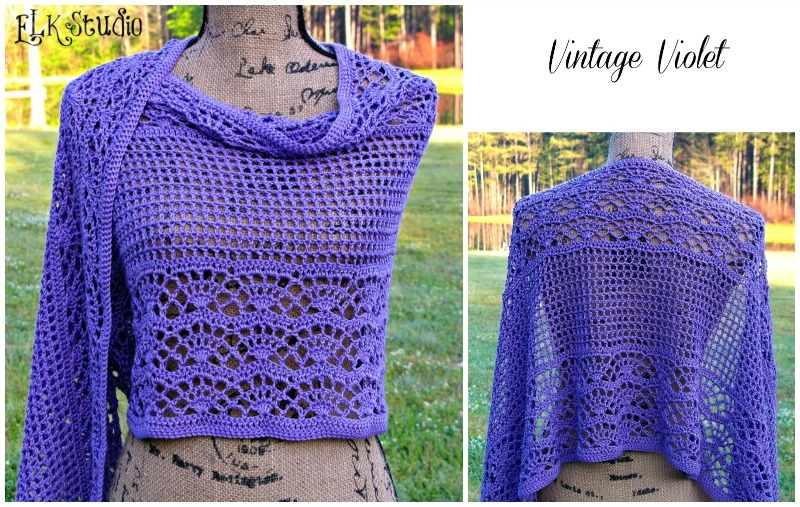 I hope you find some beautiful crochet inspiration! 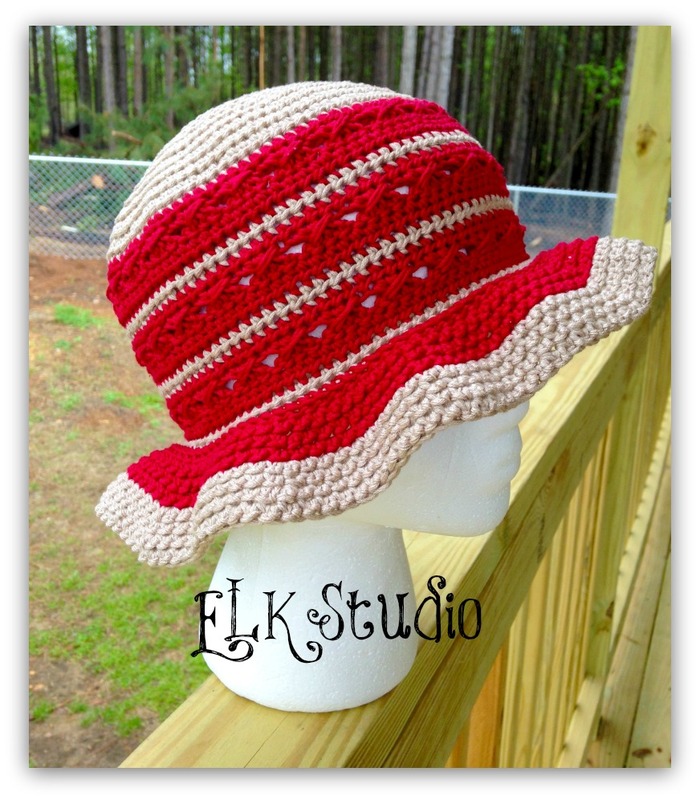 This Southern Comfort Hat by Elk Studio will keep the sun off your face in an elegant way. The Rosaline Kimono by Kim Guzman absolutely beautiful and lightweight for layering in Spring! 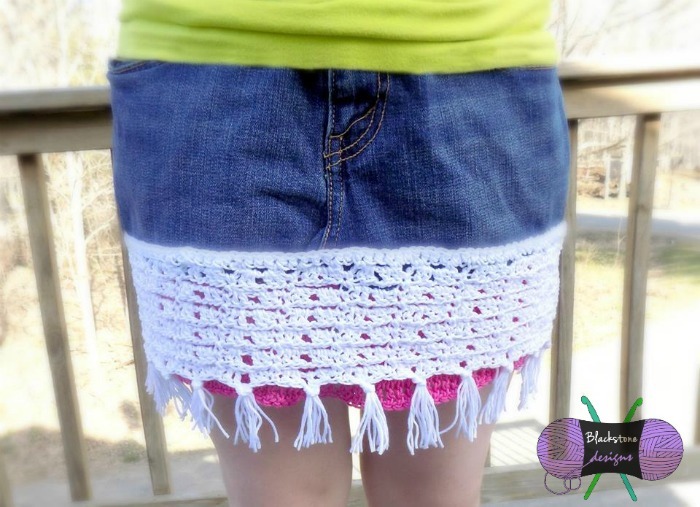 Don’t you just love the unique look to this Upcycled Skirt by Blackstone Designs for Cre8tion Crochet? 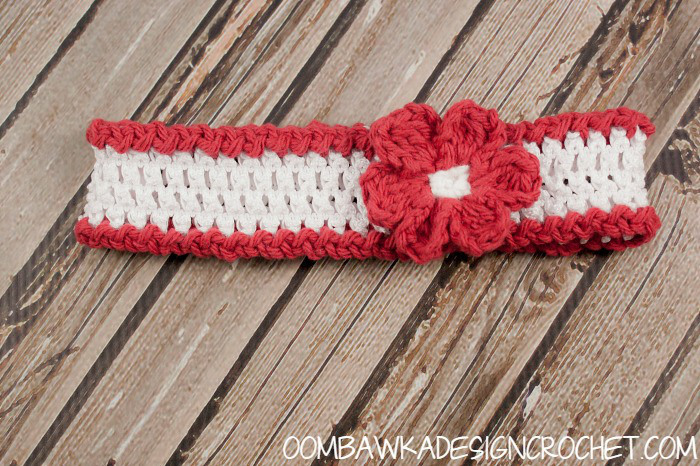 Mom’s Favorite Headband by Oombawka Design is a quick and easy project that will dress up any outfit! The pattern is available in baby through adult sizes! 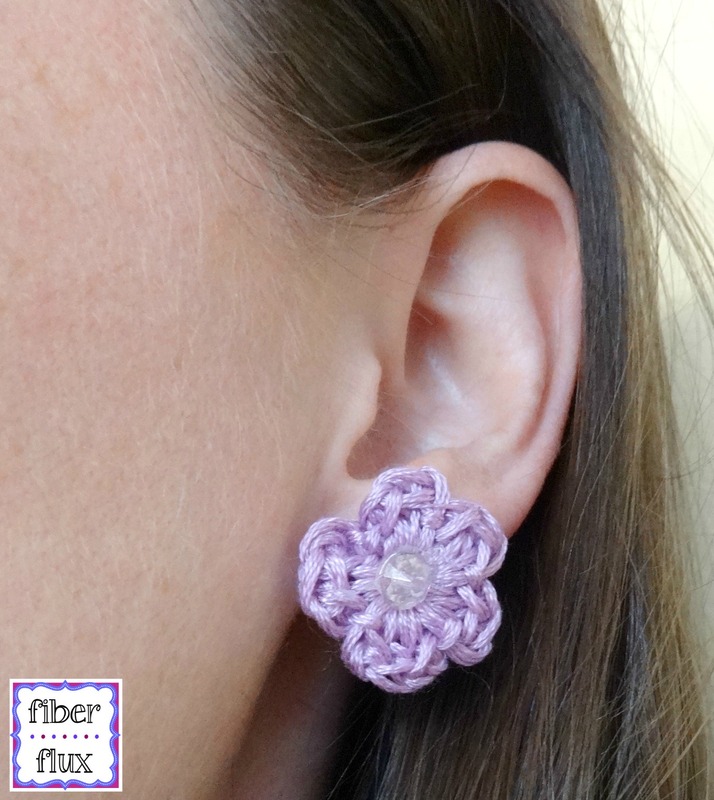 All of the crochet jewelry patterns by Fiber Flux are stunning and these Little Daisy Earrings are no exception! 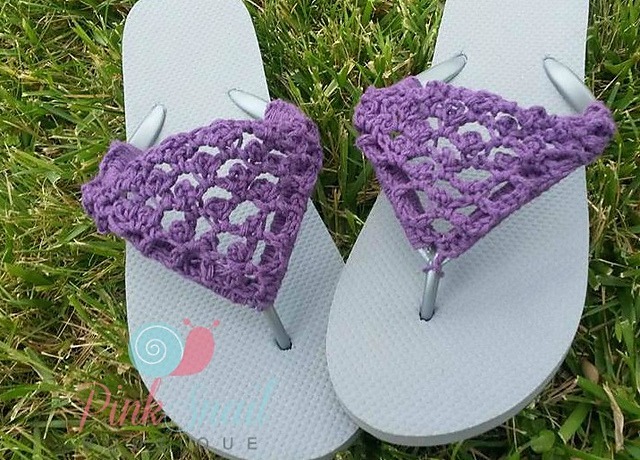 Pink Snail Boutique created this fun pattern to spice up your flip flops as part of her Peekaboo Picot pattern line! 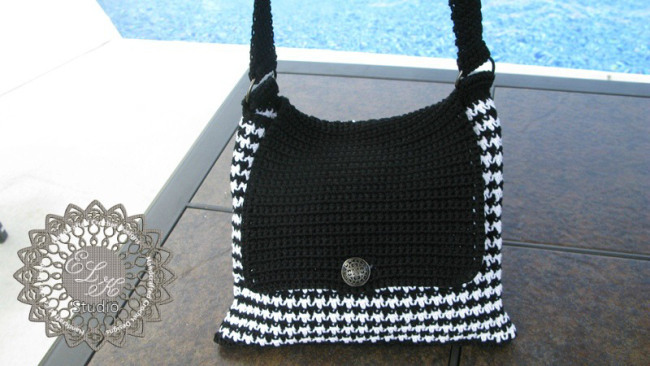 No outfit is complete without an adorable bag to go with it! Check out this Hounds Tooth Tote by Elk Studio. Even if you’re going barefoot on the beach this summer, you can do it in style with the Seaside Barefoot Sandal by The Hooked Haberdasher. The measurements of the shawl is 72″ in length x 13″ in height. Love to be in the “Know” of recent ELK Studio releases? Don’t forget to subscribe to the weekly newsletter!